St Darerca is first mentioned in the Vita tripartita Sancti Patricii (Tripartite Life of Saint Patrick), which some scholars believe was written in the sixth century – within a century of St Patrick’s death (possibly in 493 at the age of 120). In the Tripartite Life, we read that St Patrick had two sisters, and that when he came to Bredach in County Derry for an ordination, . 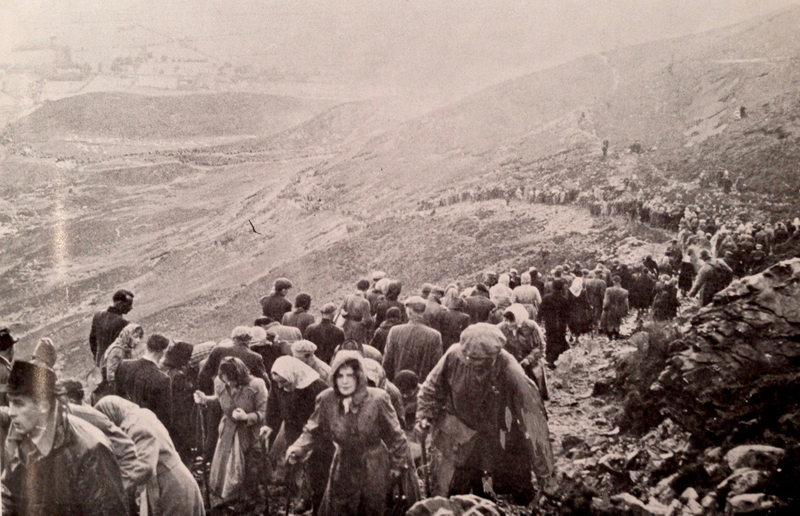 . . he found there three deacons, who were sons of his sister Darerca . . . These deacons were eventually ordained bishops and became St Reat, St Nenn, and St Aedh, the . . . sons of Conis and Darerca, Patrick’s sister . . .
. . . My name is Patrick. I am a sinner, a simple country person, and the least of all believers. I am looked down upon by many . . . 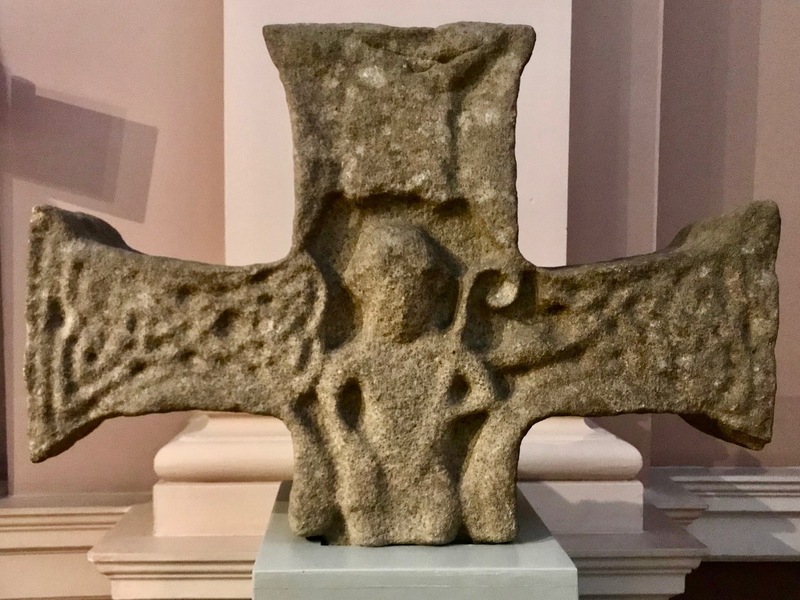 But it’s a very brief account of his life, and hardly qualifies as an autobioigraphy.
. . . By Darerca’s first husband, Restitutus the Lombard, she bore St Sechnall of Dunshaughlin; St Nectan of Killunche, and of Fennor (near Slane); of St Auxilius of Killossey (near Naas, County Kildare); of St Diarmaid of Druim-corcortri, in addition to five other children. 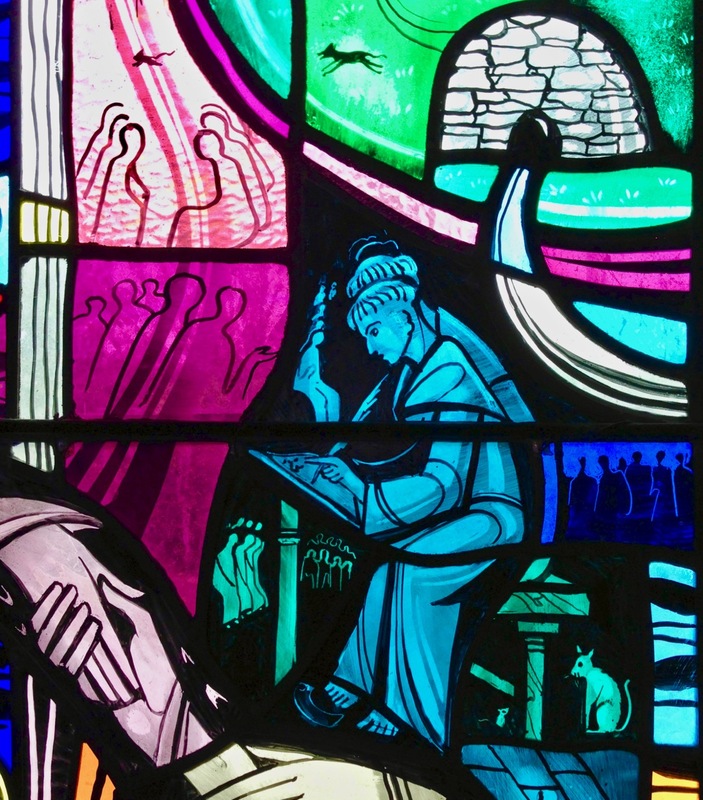 By her second husband Conis the Briton, she bore St Reat, St Nenn, and St Aedh; ancient Irish authors also attributed her motherhood to St Crummin of Lecua, St Miduu, St Carantoc, and St Maceaith . . .
St Darerca’s second husband, Conis, was said by some to be the King of the Bretons, although others only suggest that, by him, she gave birth to Gradlon the Great, who became King of Brittany. It’s really surprising (and a shame) that we don’t know more about Darerca: perhaps she has just always been overshadowed by her famous brother. 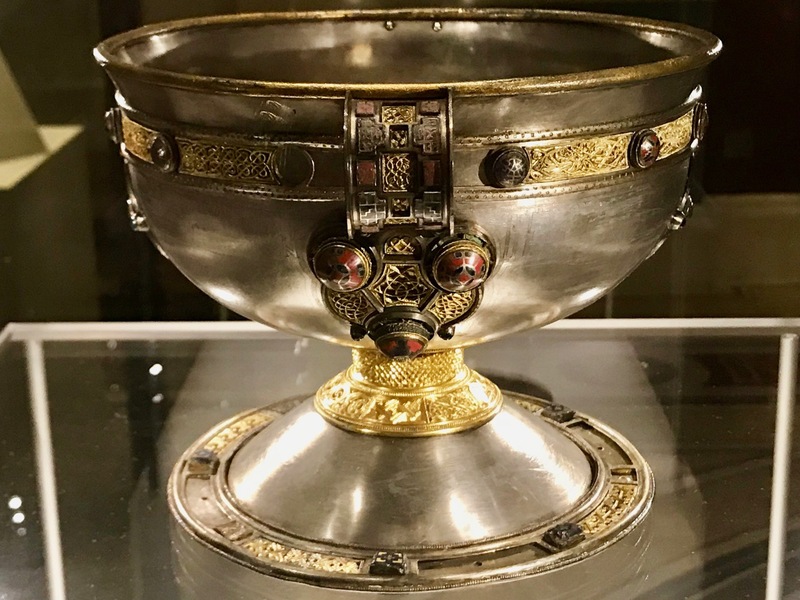 As well as – perhaps – seventeen sons, she is supposed to have had four daughters, all of whom were also connected with the spread of Christianity in Ireland. Only two are named: St Eiche of Kilglass and St Lalloc of Senlis.
. . . Darerca was her name at first. But a certain dumb poet fasted with her, and the first thing he said after being miraculously cured of his dumbness was minnin. Hence the nun was called Mo-ninde, and the poet himself Nine Ecis . . .
Moninna studied theology, established convents in Ireland, Scotland and England and travelled to Rome. 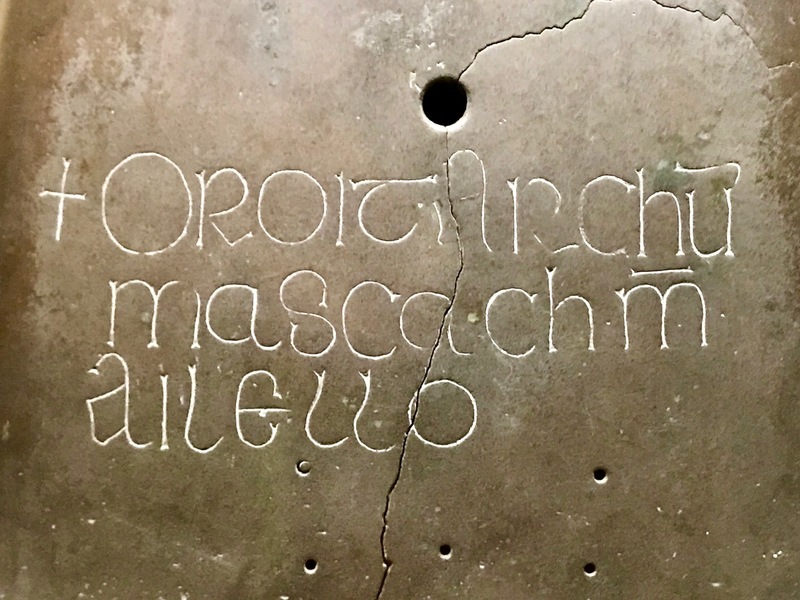 Perhaps most interestingly she is also known by the name Liamain, and there is a connection with an ancient stone on the island of Inchagoill in Lough Corrib. 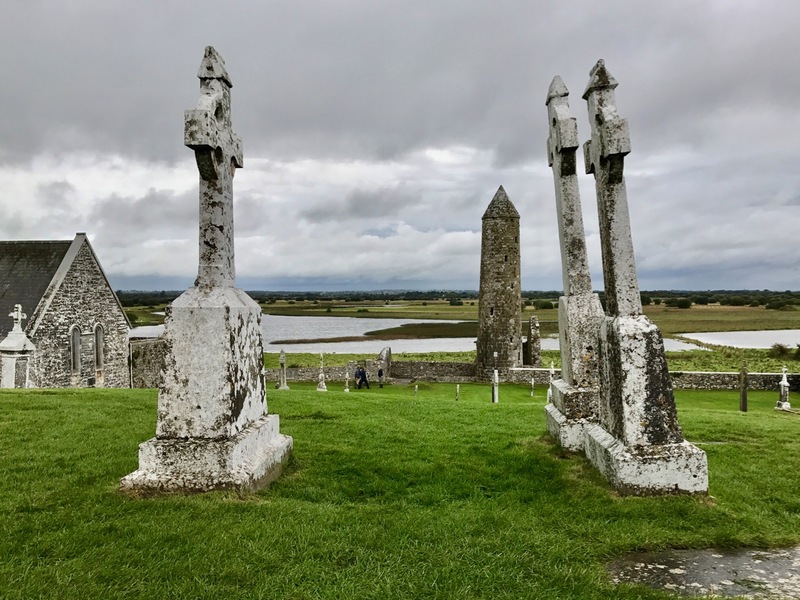 The ‘Pillar Stone’ on that island is known as Lugnaedon Pillar, a piece of Silurian grit stone, about two feet high with an incised cross on the north side, and two such crosses on each of the other sides. The inscription on the stone translates as . . . The stone of Lugnaedon, son of Limenueh . . . or Liamain. 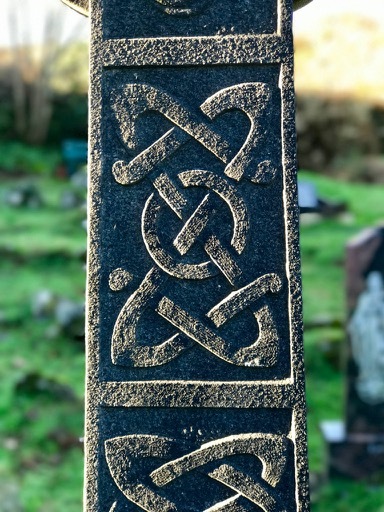 The pillar is said to originate in the 6th century, and would therefore be the oldest Christian inscribed stone in Ireland. The Benedictines say that Darerca’s name is derived from the Irish Diar-Sheare which means ‘constant and firm love’. And, finally, a piece of local folklore say that St Darerca blessed a poor man’s beer barrel so that it provided an endless supply of beer ever after! 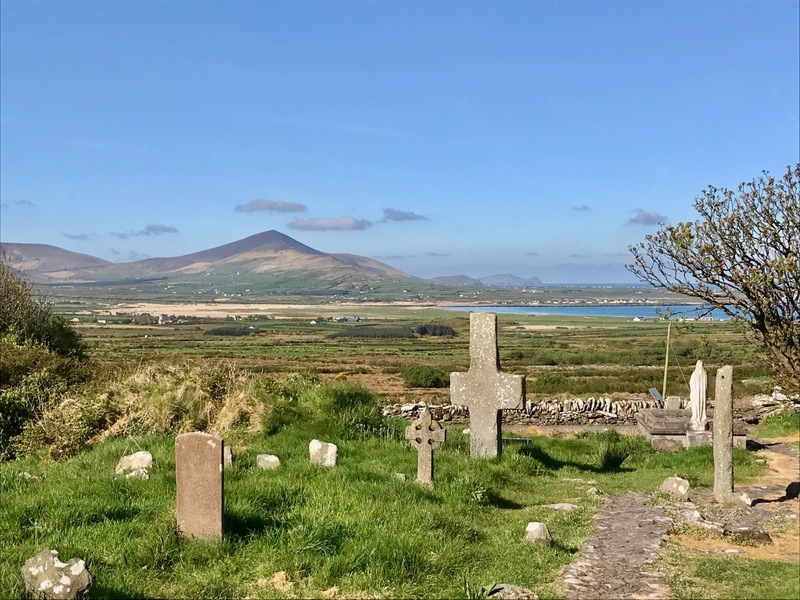 So there you have it – scraps gleaned from many sources, some of which are not named – from which we can piece together an incomplete picture of an Irish saint who may well have done as much in her day for Christianity in Ireland as her famed brother. How about giving Patrick a rest next year and, instead, celebrating the day of St Darerca? This entry was posted in Archaeology, Folklore, Graveyards and Headstones, Irish Art, Irish Heroes, Irish History, Medieval History, Religion, West Cork Blog and tagged Ardagh Chalice, Confessio, Croagh Patrick, George Walsh, Inchagoill, John Colgan, Land of the Saints, Liamain, Lugnaedon Pillar, Moninna, National Museum Dublin, St Darerca, St Kentigern's Church Eyeries, St Patrick, St Patrick's Bell, Tomás Ó Muircheartaigh, Vita tripartita Sancti Patricii, Whitley Stokes. Bookmark the permalink. A friend of mine has a niece named Derarca- I’d never heard it before. The family has strong links with Kerry, where apparently the name is known & was used up to modern times. Wonder why? Very interesting posting, thanks again. I haven’t actually known a Derarca – but had come across the name elsewhere. It deserves a revival! Thank you for the reblog. Why is she overlooked – well, I suppose she’s always been under the shadow of her brother! You’re welcome! She sounded so interesting, I just had to share. I shall certainly celebrate her saint’s day – any wells dedicated to her I wonder? Imagine having 17 saintly sons! And a twice married saint – we were wondering if saints could marry, and there’s the answer. And I look forward to hearing how you pronounce her name!